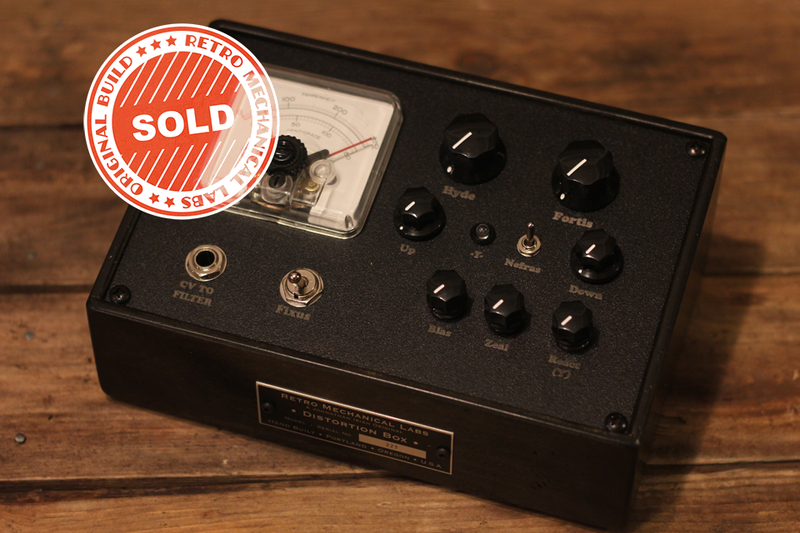 Hyde Single Distortion Filter sn #223 is actual unit for sale. ****This item has sold. If you would like us to make something similar please send me an e mail by clicking here. . The Hyde Distortion Filter is taken directly from the Jekyll n Hyde Dual filter box and cast into a durable aluminum pedal enclosure. 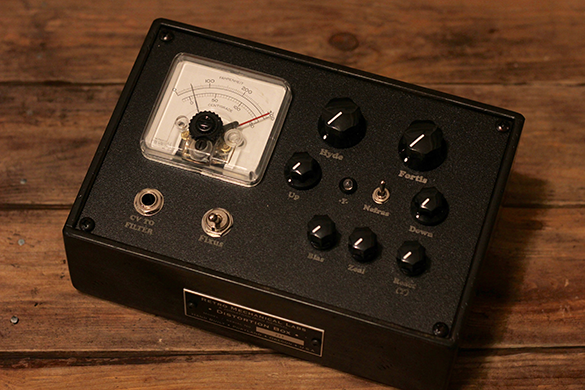 This is a distortion box with an active Low Pass (Diode Ladder) Filter and enhanced resonant feedback. A very slow drifting LFO modulates the filter frequency. Use this for creating dark textures and soundscapes. 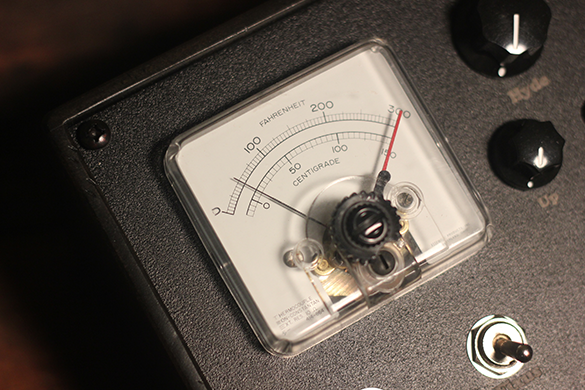 Tune the resonant feedback to match your harmonic droning or wall of noise. Use two boxes to create deep stereo textures. Turn a synth with no personality into a monster. ***Orders may take a day to process. Filter eliminates frequencies without removing warmth. Smaller compact size than full Jekyll n Hyde.